W1YK operates from the fifth floor of Salisbury Laboratories. HF frequencies are covered by our two primary towers mounted on the roof. 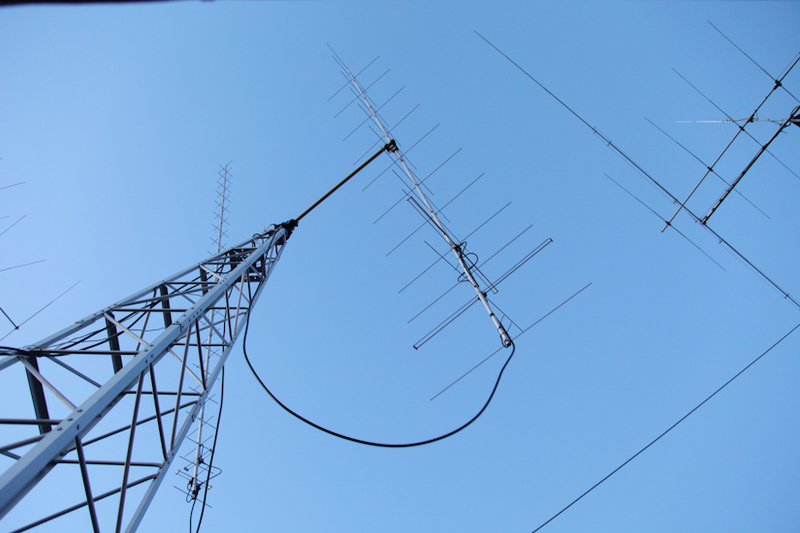 The 40 foot tower holds our 2 element 40 meter and 4 element 10 meter antennas while the 60 foot tower holds the 20 meter and 15 meter antennas. An inverted V dipole covers 80 and 160 meters. We also have a smaller 18 foot tower that has 2 meter and 70 centimeter yagis on it that we use for satellite operation. W1YK operates a Yaesu FT-1000MP connected to a Commander HF-2500 2kW linear amp for HF and an IC-910H for satellite. 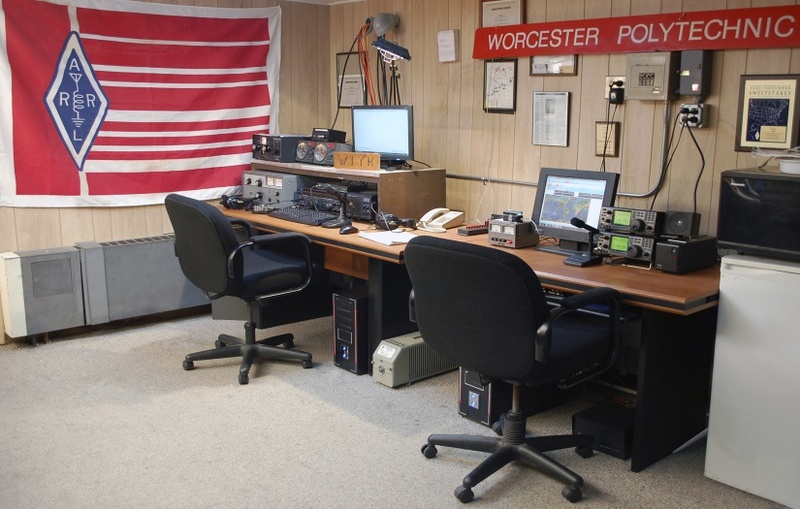 We also have an IC-706 MKII that we employ for mobile HF operation as well as local repeater use. Our HF rig also interfaces with a Rigblaster Pro and computer for PSK31 and RTTY. Above, you can see the satellite station antenna tower in the center with our 15/20m and 10/40m off to the left and right of the image, as well as our 80-meter antenna in the lower-right corner.